Dr. Chevalier’s teaching, research and service interests are aligned with national and global issues in environmental engineering, water resources engineering, and engineering education. 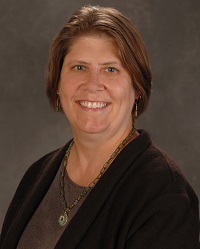 Specifically, her expertise is focused on the fate and transport of contaminants, groundwater hydrology, interdisciplinary research on watershed science and policy, and the advancement of engineering education. Dhakal, K.P., Chevalier, L.R., 2016, Urban Stormwater Governance: The Need for a Paradigm Shift. Environmental Management, 10.1007/s00267-016-0667-5. Swanson, T. L. and Chevalier, L.R., 2016, Factors Influencing Emerging Organic Contaminant Removal in Constructed Wetlands, Accepted: World Environmental and Water Resources Congress, EWRI/ASCE, West Palm Beach, Florida. Dhakal, K.P., Chevalier, L.R., 2015. Implementing low impact development in urban landscapes: A policy perspective. World Environmental and Water Resources Congress, EWRI/ASCE, Austin, Texas. Dhakal K.P. and Chevalier L.R., 2015. Urban Stormwater Governance: A Paradigm in Transition. International Low Impact Development Conference, EWRI/ASCE, Houston, Texas. Thélusmond, J.R., Chevalier, L.R., DeVantier, B.A., 2013, The use of plastic media in a movable bed model to study sedimentary processes in rivers, International Journal of Hydrology Science and Technology, 3(2):93-110. DOI: 10.1504/IJHST.2013.057622. Pinter, N., Baer, S., Chevalier, L., Kowalchuk, R., Lant, C., Whiles, M., 2013, An IGERT model for interdisciplinary doctoral education in water-related science and policy, Journal of Contemporary Water Research and Education: Special Edition on Water Education for Sustainability in Higher Education, 150:53-62. Fukushima, T., Whang, L.M., Chiang, T.Y, Lin, Y.H., Chevalier, L.R., Chen, M.C., Wu, Y.J., 2013, Nitrifying bacterial community structures and their nitrification performance under sufficient and limited inorganic carbon conditions, Applied Microbiology and Biotechnology, 97:6513-6523.